Expert advice on stocking up for baby. Even if your newborn came with instructions, you probably couldn’t stand another manual. 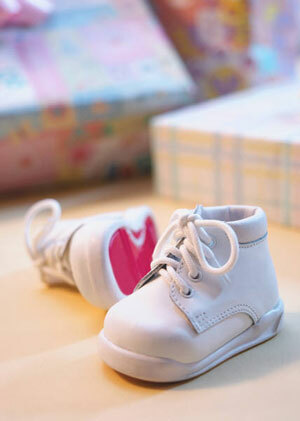 The abundance of baby gear yields more guidelines than a parent should ever have to bear. But breathe a sigh of relief expecting and new parents. Here’s the insider’s edge when it comes to stocking up before the stork arrives courtesy of giggle founder/CEO Ali Wing, who oversees the meticulous selection of baby goods at the store’s 13 locations. Q: What are the top 10 items parents need before bringing home baby? An infant or convertible car seat. Because safety standards are always changing, steer clear of hand-me-downs. The layette. As newborns sleep about 18 hours a day, focus your clothing choices on genuine comfort and practicality. Also look for a chemical-free finish. Swaddle blankets. Along with swaddling, these multi-tasking saviors come in handy for warming, shading, changing and sleeping. Burp cloths. You’ll want plenty for shielding against unexpected eruptions. They also protect your baby from chemicals found in adult clothes. A bed. Whether you opt for a crib, bassinet, co-sleeper or cradle, your baby needs at least one place to drift off to dreamland upon arriving home. Diapering necessities. Key essentials include diapers, wipes for sensitive skin and a nontoxic barrier cream to use daily. Bath products. When a little warm water and a washcloth won’t do, consider natural or organic products that are mild and antiallergenic. A monitor. Short of standing in your baby’s nursery during naps and slumber, nothing brings more serenity about how your child is doing than an interference-free monitor. Plant-based, nontoxic and biodegradable cleaning products. Safe products, including for laundry, protect the whole family. First aid. You’ll sleep better at night knowing you have a kit of supplies in your corner in case of an emergency. Q: What unnecessary items do parents tend to register for or buy? From the viewpoint of less necessary: fashion clothing. You’ll receive more clothes than your newborn will even wear. Regarding what parents tend to get too much of, it’s toys. Although developmental toys and play mats are wise buys, choose playthings and other items by your family’s intended use of them rather than on product features as a general rule of thumb. Also, parents living in a crowded walk-up apartment should make vastly different gear choices than parents in a large suburban home. But wherever you live, you can never have too many books. Q: Should parents learn to use baby gear before childbirth? Try to learn about products before welcoming baby. You have more time then! Many good children’s stores have educated experts to offer product demonstrations. Video demos are also good resources. Be prudent about consumer reviews when choosing merchandise and using your gear. Such reviews are just as often inaccurate in their descriptions as accurate. Focus your efforts mainly on the top 10 necessities for baby (as detailed in the first response) and you’ll reap the rewards when you come home from the hospital. Q: How important are manuals for baby gear? Keep your car seat manuals. The key to car seat safety is to always follow the manufacturer’s installation guide. Most manufacturers also post the guidelines online, and reputable retailers have them available to customers. Try calling a retailer’s customer service line in a pinch. And when all else fails, like you can’t lower the big kid seat on your stroller while your child naps, do as a certain writer would and stop a fellow parent on the street. Be wary of misinformation from strangers for sure. However, you and your babe might rest easier if said stranger is pushing the same set of wheels. Sometimes other mothers make excellent experts, too.